Since it was started two years ago, Pinterest has taken the world by storm and now has over 12 million members, the vast majority of them women. In case you haven’t heard of it (maybe you’ve been stuck down a mine shaft for the last few months), Pinterest is an online version of those cork boards where you pin up postcards from exotic lands and pictures of people and stuff you like/covet. Members of Pinterest can either post individual pictures (“pins”) from their own computer or from another site, or they can create an entire board with a group of pictures based around a particular theme. 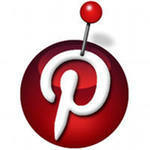 In keeping with other well-known social networking sites, you can follow other members and “repin” other people’s pins. Does Pinterest have any real marketing potential, or is it just a pleasant way of wasting time? Well, it depends. Given the demographic of Pinterest users (mainly female) and the fact that it is by definition highly visual, Pinterest is going to be far more use to you if you’re – say – promoting an art- or fashion-oriented enterprise than if you’re offering your services as an accountant or heating engineer. Nonetheless, Pinterest does have real marketing potential if you’re in the right niche. Here are eight reasons why Pinterest could help you promote your business/website. 1. Just by creating individual pins of images from your site, you will generate more traffic. Every time someone pins an image, Pinterest enables them to credit the source of the image by adding the original URL. Sadly the URLs are nofollow, but even nofollow backlinks have their uses in terms of gaining views and sales from actual human beings who click on them. It’s up to you to create aesthetically pleasing images for your site and encourage people to pin those images, by putting the Pin It button on every relevant page. Note: when people pin something, they don’t always credit the image properly so every once in a while it’s worth doing a generic search (e.g. “wedding dress”) to see if anyone’s pinned one of your items. If someone’s pinned something of yours but they haven’t added a description to say where it links back to, you can (politely!) ask them to rectify this – Pinterest makes it easy to do and actually encourages it. Come up with a ready-made suggestion for changes, to make it as simple as possible for the person to comply. 2. Do you have an online shop? Create a pinboard with a “best of” selection. Items such as vintage clothing or hand-made jewelry can look fabulous arranged on a board. To keep it “real” rather than spammy-looking, you might want to consider adding pins from other sources as well. For example if you have an Etsy shop, you can feature items from yourself and other Etsy sellers. If you have photographs or digital artwork to sell, you may understandably be wary of placing your work on a site like Pinterest, since its terms and conditions state that it has the right to use and distribute any user content as it sees fit. One way round this is upload only low-resolution images to Pinterest (or any of your own sites for that matter). That way, only the actual buyer of your photograph gets the high quality version. 3. Pinterest allows you to add descriptions and comments to your pins, making it possible to publicize special offers, sales and forthcoming events. The ability to create entire boards with a unifying theme is a great way to showcase related items, e.g. “Gift Ideas for Mother’s Day” or “Cool Bathroom Accessories”. 4. Creating a pinboard will allow you to “test the water” to see which of your products/concepts are more likely to appeal to buyers. If one of the items on the board gets more comments/repins than all the others put together, then that’s telling you something! Sometimes you will be surprised at just what kinds of things people will like. 5. Did you know that as well as pinning pictures, you can also pin videos? If you already have a presence on YouTube, you can use Pinterest to feed into that. Given Pinterest’s predominantly female user base, typical YouTube channels that might find a ready audience would be those featuring make-up tips or “how to” crafting or cooking videos. 6. Pinterest has a group board facility – when you create a new board, you can specify whether you alone can pin, or whether other contributors can join in. This can open up possibilities for collaborative enterprises, for example a group of related non-profit organizations working together for a common cause. 7. Promote user engagement by encouraging people to pin pictures of themselves using or wearing your product. You can then repin them onto one of your own boards. Another way of creating user engagement (and raising your profile and traffic) is to organize a competition, for example by getting people to create a themed board with suitable titles/tags that include your business name. 8. If you’ve already got a Twitter following, you can tweet your pins as a way of adding variety to your tweets and hence keeping your Twitter followers interested. What’s more, it will only take them a few seconds to look at your latest pin, whereas reading an article or a video that you’ve tweeted will take them longer. So pins are the ideal way to “hook” busy people with no time! If you’ve got a Facebook page for your business, you should definitely add a Pinterest tab there. Pinterest also lets you add your pins to the timeline on your personal Facebook profile, but at the time of writing it doesn’t let you do this for Facebook pages. Even so, the fact that Facebook has 800 million users means that there are a lot of people who could end up seeing pinned pictures of yours on Facebook. That’s a huge potential market.